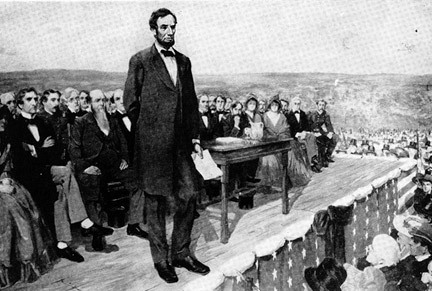 One hundred and sixty three years ago Abraham Lincoln delivered a few short words at the dedication of the Soldier’s Cemetery in Gettysburg, Pennsylvania. Those words, along with the Preamble of the Declaration of Independence are the American equivalent of secular scripture. Even more than the Constitution they define the ideal of what the United States can and should be. Lincoln understood that ideal even during the midst of a war which devastated the nation and claimed the lives of nearly three quarters of a million American soldiers and sailors, from the North and the South. At Gettysburg, where just three and a half months earlier over 150,000 soldiers battled for three days, leaving about 50,000 dead, wounded, and missing on the battlefield. When Lincoln gave his remarks the cemetery, which now contains the remains of 3,577 Union soldiers, half unknown, was not yet half-full. Men were still engaged in the gruesome task of recovering the decaying remains from hasty graves all around the battlefield, as well as recovering and attempting to identify those who fell and remained where they died. I am ever the optimist that we will see that new birth of freedom, but I do expect in the coming years that we will again see many of those freedoms rolled back or curtailed as they were in the years following the re-establishment of white rule in the South, and the extension of Jim Crow to many places outside of the former Confederate States. Sadly, even the symbols of the Confederacy are on the rise, the Confederate Battle Flag is showing up in places that it never flew during the American Civil War. I do believe that the ideals of Lincoln’s words are immortal, and are worth fighting for even when they are not popular, and even when the majority decides to crush the rights of the minorities that they despise, be they racial, religious, political, ideological, or even gender related. I do believe that we are at a crossroads, a crossroads where we will have to choose to fight for the rights of the weak in our legislatures and courts, and by our actions. The Compromise of 1850 included the Fugitive Slave Act, a law designed to help slave owners recover their “property” anywhere in the country. It was a law that benefited slave states and overthrew the laws of Free States which were ordered to assist agents of the slave owners recover their human property. Many Northerners, even non-abolitionists were horrified by the new law and worked to protect African Americans in their communities. Southerners were infuriated and claimed to be the victims of Northern aggression and militant “Godless” abolitionists. I expect that in the coming months that laws will be passed to discriminate against minorities of all kinds and that many of these laws will contradict individual state laws and protections. We are seeing White Nationalists like Stephen Bannon and Jefferson Beauregard Sessions as chief White House Counselor and Attorney General nominee. Neither have had any regard for the rights of racial minorities and may be setting civil rights policy. If those policies discriminate or roll back the rights of people they will have to be opposed. Like the abolitionists we will have to make a choice, a moral choice and do what we can to mitigate those laws and protect those that they harm until the time comes when the people who passed them lose political power. 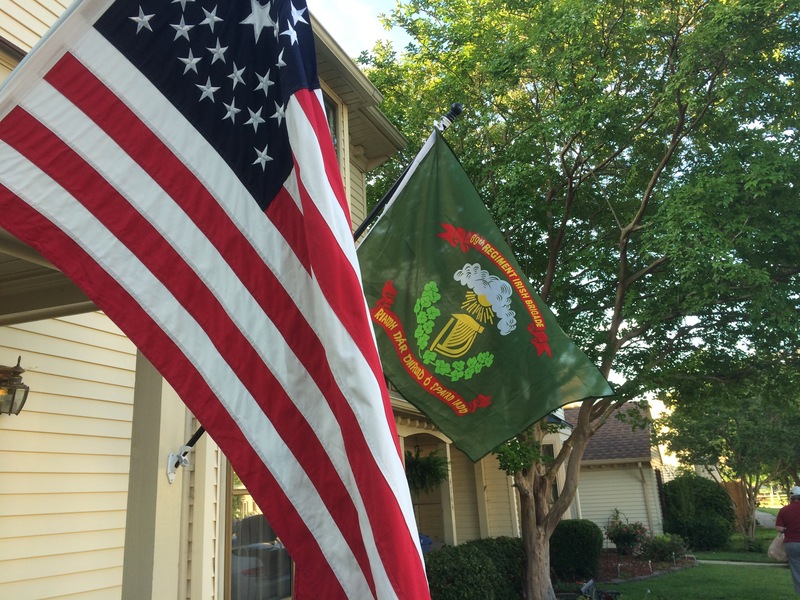 Outside of my house I fly the 34 “Circle Star” Flag of the Union as well as the flag of the 69th New York Volunteer Infantry of the immortal Irish Brigade. They are symbols of my opposition to the neo-Confederate racism and xenophobia that is arising in the country. I will remain true to the Constitution, and I will never stop believing in or fighting for the proposition that all men are created equal, and that we shall indeed have a new birth of freedom — and that government of the people, by the people, for the people, shall not perish from the earth.